You can now access your Enertrac Remote Level Monitoring System from the "My Account" link on the top right side of our homepage, or through this link here. You just need to log into your account for online access or register if you are a new user. It's fast & easy to do! If you need help, please call us at 800-287-1921. 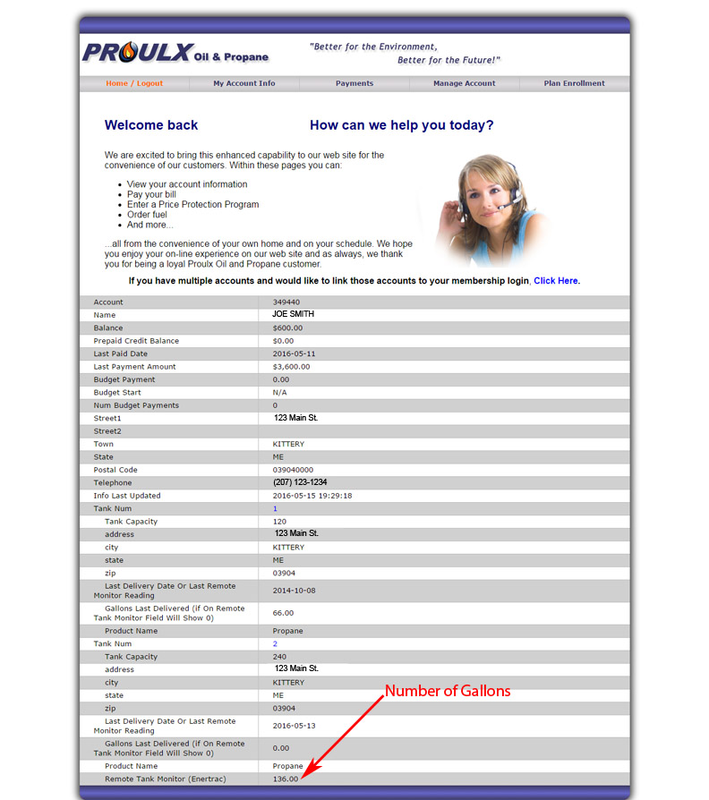 Please scroll down to the bottom of the screenshot to view the location of the "number of gallons" for your account.